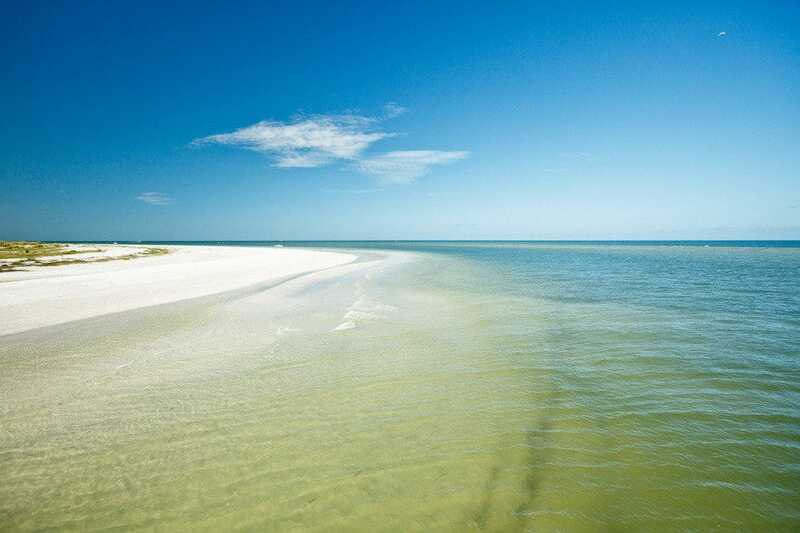 You’ll find some of America’s best beaches lining the Gulf of Mexico’s tranquil shores throughout St Petersburg/Clearwater’s sun drenched paradise. 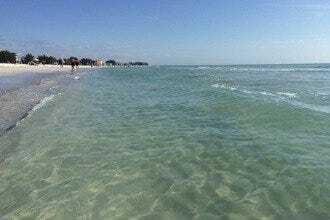 If you crave some “R&R” and want to simply kick back with a frosty drink and tuck yourself along a soothing beach, you’ve come to the right place with choices spanning Clearwater Beach, St Pete Beach, Caladesi Island and Treasure Island to name just a few. If you’re more adventurous and want to add some thrills to your visit, water sports, jet skiing, sky surfing, dolphin tours and other activities can be booked at places such as John’s Pass, Ft. De Soto Park, Egmont Key and others. Unleash the artist in you at the Dali Museum, Leepa Ratner Museum of Art and Museum of Fine Arts or explore the fascinating Chihuly Collection at the Morean Arts Center. Along your tour, be sure to take time to “smell the flowers” at Sunken Gardens or Florida Botanical Gardens. No matter when you visit, there’s much to do – for the whole family. Enjoy the local scenery from the comfortable perch of a boat when you embark on one of The Tropics Boat Tours. Whether you're in search of frolicking dolphins or are just in the mood for a scenic sunset celebration or even opt for a private charter, you won't be disappointed. 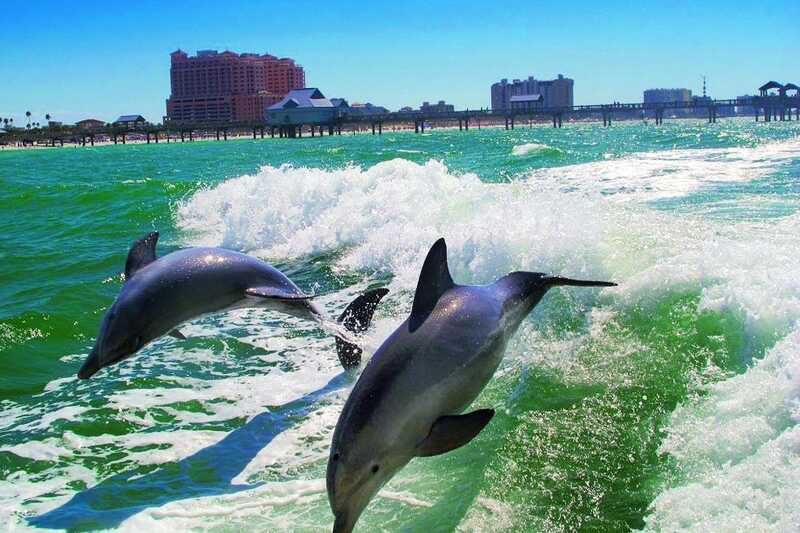 Dolphin Celebration Tours last about two hours and lead you from Clearwater Bay and Clearwater Pass into the Gulf of Mexico's emerald waters. Along the way, the captain will regale you with stories about the area, pointing out celebrity mansions as you go. For kids, the educational "Tommy the Turtle Explorer Time" is sure to entertain them. The two-hour Sunset Celebration Cruises include a complimentary champagne toast for guests 21 and older. Take some time to "smell the flowers" as you stroll through St Petersburg's oldest living museum �– Sunken Gardens. First opened in 1935, it was created by local gardener George Turner, Sr, who drained a small lake on the site, dropping the area 15 feet below sea level. Today, this signature attraction boasts thousands of specimens of plants and flowers tucked into seven lush acres. 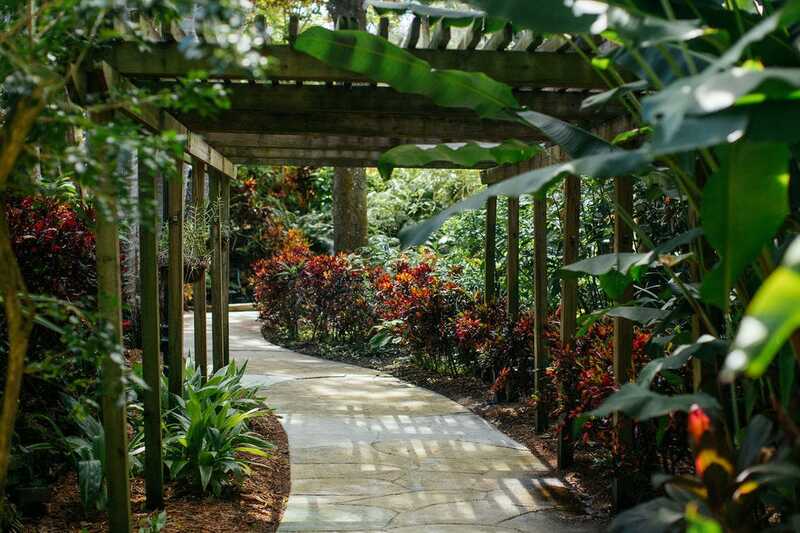 Carefully planned walkways allow you to browse the more than 50,000 tropical plants passing cascading waterfalls and a colorful butterfly garden. Garden tours, as well as horticultural and educational programs are offered throughout the year for both children and adults. Of special note, "Camera for Kids" teaches children basic photographic skills on either a camera or smartphone. The "Flamingo Forever" program is another favorite. Consistently ranked as one of America's best family beaches and a favorite with locals and savvy visitors alike, Fort De Soto Park offers a wide range of activities for the whole family, not limited just to the beach. 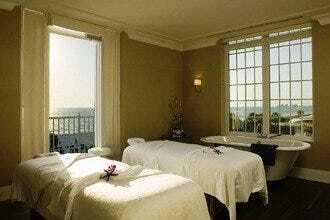 The historic landmark is the fort located on the shores of the Gulf of Mexico. It was built for the Spanish-American War, yet it never fired a hostile shot. Listed in the National Register of Historic Places, it offers a fun opportunity for visitors to explore its canons and jail cells. Local denizens offering year-round viewing include: dolphins, sea turtles, pelicans, egrets, pelicans and more. The 900-acre park offers more than two miles of self-guided trails, which take about two hours to paddle along mangroves, oyster bars and sea grass beds. Along the way, you'll get up-close-and-personal with sea-life, including manatees (March through November) and other creatures of the deep. Dogs will enjoy Dog Beach and Paw Playground. Other amenities include showers, lifeguards, camping and fishing. Named for pirate John Levique who first traveled through a pass created by a hurricane in September 1848, the "Pass," as it is known to locals is tucked along the waterfront on Madeira Beach. 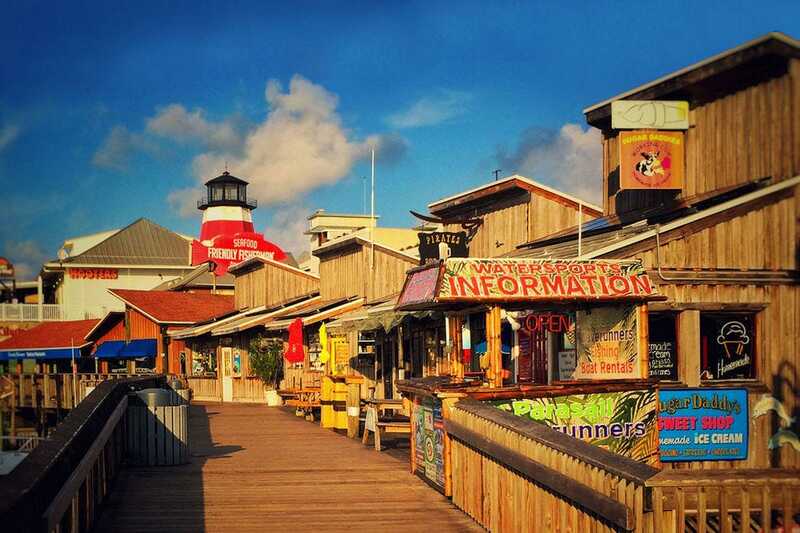 Designed to resemble a quaint turn-of-the-century fishing village, it is one of the area's major attractions. More than 100 merchants interspersed along a 1100-foot boardwalk offer boutiques, shops, a variety of restaurants, bars, nightclubs and bistros. 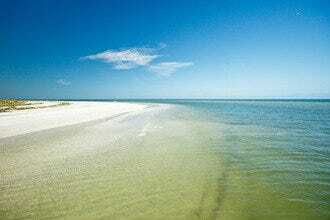 You'll also find a local fishing fleet, dolphin watching and shelling tours and more. If you're adventurous you can hold live alligators or go parasailing and jet skiing. For something a little tamer, be sure to book a sunset cruise. Saturday nights feature live bands and drink specials at various bars. 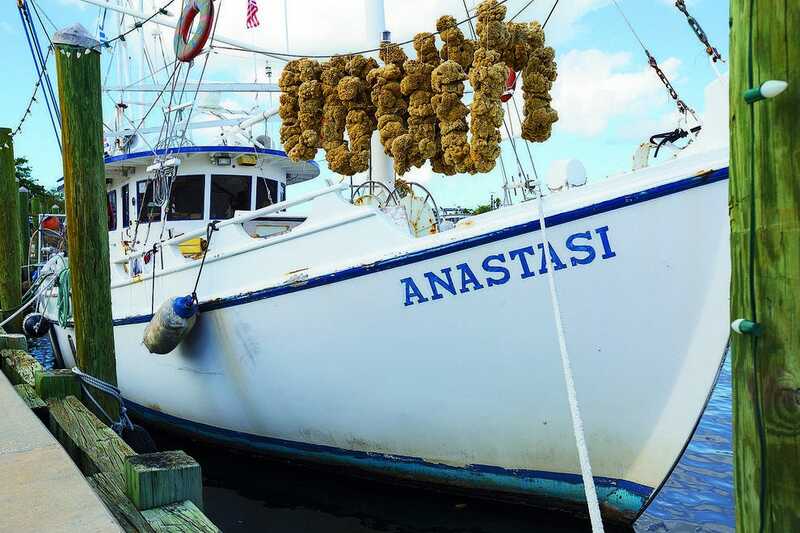 Immerse yourself in the fascinating culture of Greece when you explore Tarpon Springs Sponge Docks, settled by Greek immigrants who brought their traditions to these scenic shores. 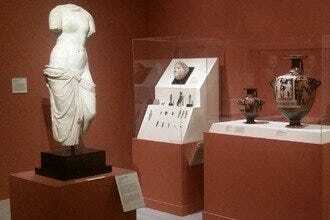 Modern-day visitors will be treated to a host of typical restaurants, bakeries and shops showcasing Greek wares. Savor authentic cuisine and browse through family-owned curio shops owned by families of the original settlers. While you're there, embark on a fishing expedition, book a dolphin-watching cruise or explore the Sponge Museum and learn about Tarpon Springs' rich history while browsing through what's said to be the largest collection of sponges in the world. If you happen to be there for the annual three-day Opa! Palooza Festival, you're in for a real treat! Take your visit to a new level when you book a relaxing horseback riding-swimming tour from Cypress Breeze Farm's beach ride adventure. Before saddling up you'll meet the large, gentle draft horses at North Skyway Park. 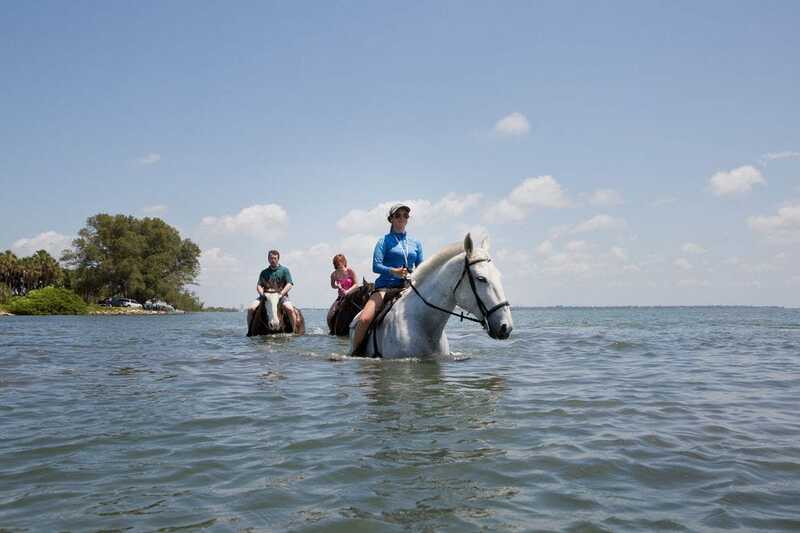 Once you've met your trusty steed, you'll embark on a memorable one-hour journey - in groups of four - with your knowledgeable guide who will have you - and your mount - wading into Tampa Bay's tranquil waters in no time. A stop at a sand bar allows you to admire the St Petersburg skyline while listening to a brief overview of the area's natural ecological system and a chance for a photo "op" before heading back to shore. 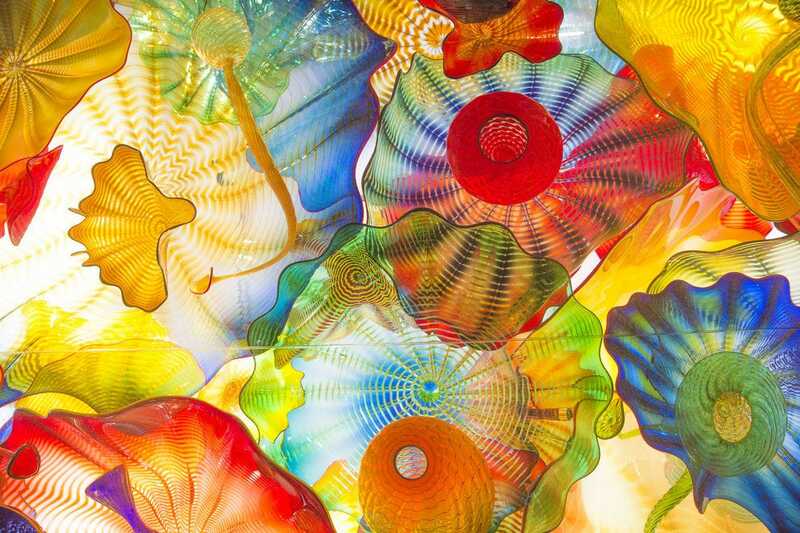 The unique collection of world-renowned artist Dale Chihuly's stunning artwork has found its permanent home �– as of October 2016 �– in a building specifically designed to house it. 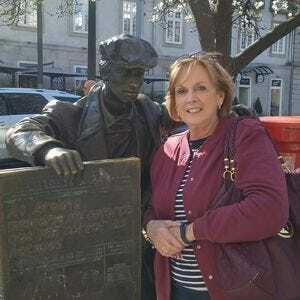 An iconic 20-ft sculpture marks the collection's location at the Morean Art Center in downtown St Petersburg. Included are some of the artist's impressive large-scale creations, which have been wowing audiences around the world for generations. Included in the exhibit are: Ruby Red Icicle, Niijima Floats, Macchia, Ikebana, Persians and the neon glowing Tumbleweeds. Each exhibit space has been especially designed to enhance the visual experience and to capture the essence of Chihuly's message. 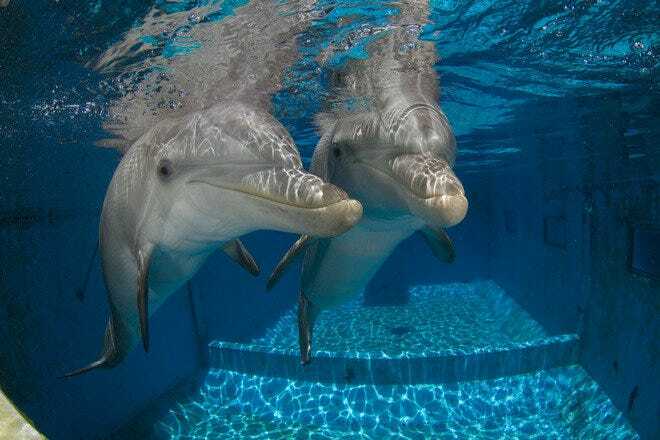 Home to rescued dolphins Winter, Hope and Nicholas, the Clearwater Marine Aquarium offers an up-close-and-personal view of other "refugees" from the wilds including stingrays, nurse sharks, otters, sea turtles and more. 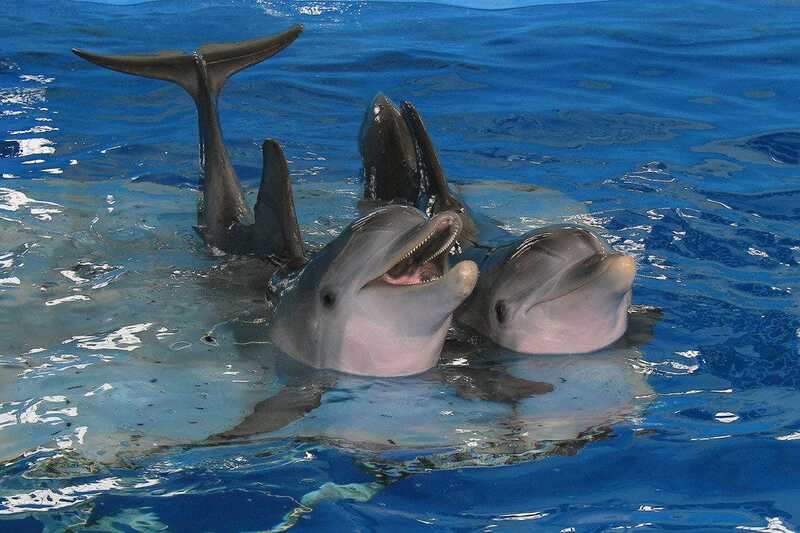 The aquarium was also the filming site for "Dolphin Tale" and Dolphin Tale 2," but in addition to its Hollywood claim to fame, it is an active marine hospital whose mission is to "rescue, repair and release" sick or injured animals. Ongoing exhibits allow you to view the animals in underwater viewing tunnels and a specially made "stranding" deck for the immediate care of newly rescued animals. Week-long summer camps allow kids to snorkel in grass beds and kayak along local estuaries to view the rescued marine residents in their natural habitat. Guided kayak and boat tours promise activities for the whole family. 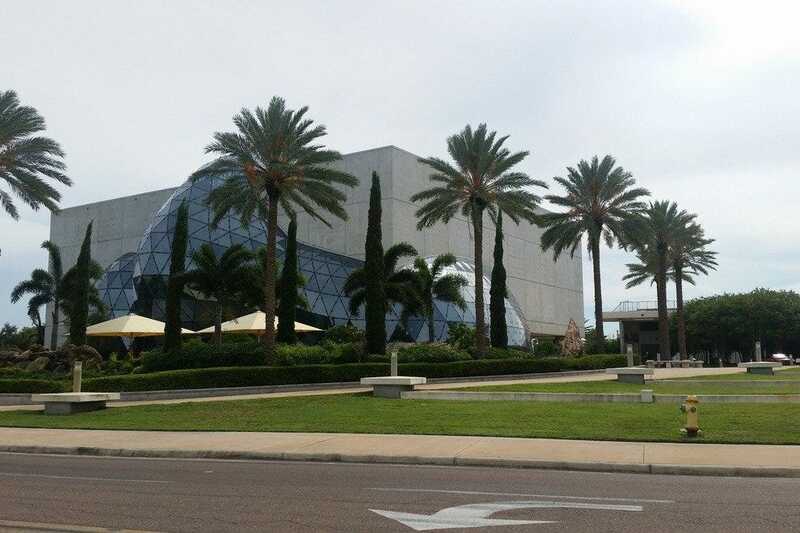 Located along St Petersburg's scenic waterfront, The Dali Museum is home to an important collection of Salvador Dali's art, spanning his lifetime. The dazzling building itself is a work of art with more than 1,000 triangular-shaped glass panels. Inside, you'll find more than 2,000 works - the largest collection outside of Europe - including oil paintings, watercolors, drawings, photographs, sculptures, drawings and other objects d'art. Free audio headsets offer detailed explanations of some of the paintings and a variety of programs, such as lectures, films and workshops are offered. In addition to the permanent exhibit, a host of rotating artists and photographers are on display throughout the year. A gift shop boasts a large assortment of Dali-inspired souvenirs and the charming Café Gala - named after Dali's wife -serves a Spanish-inspired menu featuring tapas, soups, salads, light bites and pastries with inside, or outside dining on the Avant Garden patio. Man's inhumanity to man is poignantly on display in the tastefully appointed Florida Holocaust Museum in St Petersburg. 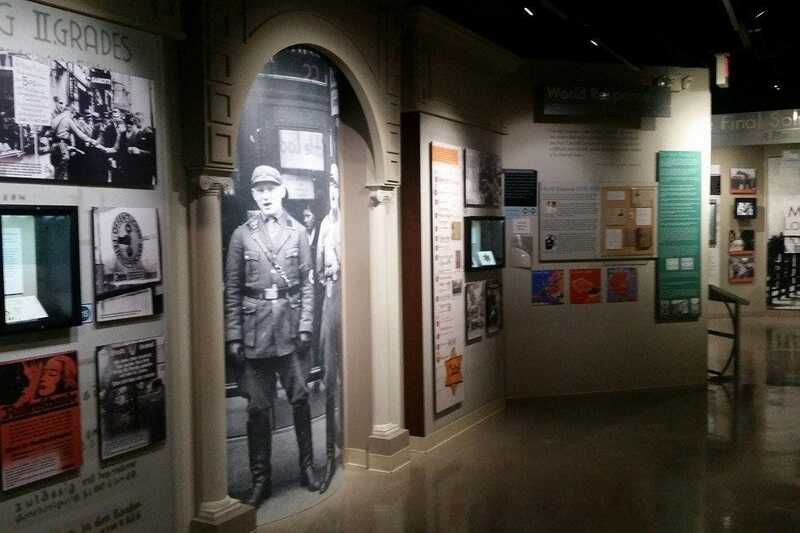 Founded in 1989 by Holocaust survivor Walter P. Loebenberg, the museum showcases the tragic plight of Holocaust victims via a series of personal histories, photographs and artifacts. Tattered clothing - including camp uniforms and tiny shoes worn by young victims of the atrocity - and movie clips offering narratives by Holocaust survivors complement the sobering exhibit. A boxcar once used to haul prisoners to concentration camps offers another sad page to the museum. Audio headsets offer a description of what's on the first-floor, while the second floor gives a haunting overview of the Women of Ravensbrook, the concentration camp exclusively for women.